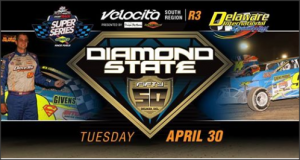 MIDDLETOWN, NY – Fifty of the richest laps of the Northeast dirt Modified season will be contested Sunday, April 7 at Orange County Fair Speedway. Escape RV presents the ‘Hard Clay Open’ to kick off the Bob Hilbert Sportswear Short Track Super Series (STSS) Fueled By Sunoco Halmar International North Region for big-block/small-block Modifieds. The 50-lap main event offers $11,919 to the winner, $1,150 for 10th and $700 just to take the green flag from a purse totaling $47,219. And there’s more! A number of special awards and bonuses will sweeten the pot for drivers competing at the Legendary House of Power. The driver advancing the most positions from their scheduled starting position to the finish of the ‘Hard Clay Open’ 50-lap event will receive $400 cash courtesy of Rock Fantasy Hard Rock, Metal, Classic Rock Concert Shop and Smoke Shop located in Middletown, N.Y. Thanks to Rock Fantasy proprietor Stephen Keeler for his support of the Hard Charger Award. The leader at the Halfway Point – lap 25 – will receive a $200 cash bonus courtesy of Superior Remodeling of Slate Hill, N.Y.
Each of the race’s heat winners takes home $100 cash from Rob Sherlock Roofing, located in Wurtsboro, N.Y. The Heat Race Hard Charger – the driver passing the most cars overall from the heat events – will receive $150 cash thanks to MJK Home Maintenance of Middletown, N.Y. Precision Hydraulic & Oil of Wrightstown, N.J.,presents a unique Dash for Cash paying a pair of winners $150 each. A 3-lap dash will be run offering the winner $150. At the conclusion of the first 3 laps, the original starting order will be reversed and another 3 laps run paying $150 to the winner. Heat winners are eligible for the Dash. Aside from the cash, drivers will share in product certificates from American Racer/Lias Tire Company, ATL Fuel Cells, Behrent’s Performance Warehouse, Bob Hilbert Sportswear, EIBACH Springs, Henry’s Exhaust System, Racing Optics, Sunoco Race Fuels/Insinger Performance and WELD Wheels. The STSS Halmar International North Region features nine events with the champion receiving $12,500 cash. The total posted point fund for the ’19 North Region can be found at the following link: http://shorttracksuperseries.com/wp-content/uploads/2019/02/STSSModifiedNorthRegionPointFund.pdf. Joining the STSS Modifieds on the ‘Hard Clay Open’ card are Crate 602 Sportsman, under Orange County Fair Speedway rules, battling for $1,000 to win and $100 to take the green flag. Complete ‘Hard Clay Open’ race information has been posted on the all-new Short Track Super Series website: www.shorttracksuperseries.com. To learn more about the 2019 Short Track Super Series Fueled By Sunoco, visit www.shorttracksuperseries.com, e-mail bdmotorsportsmedia@gmail.com, check out ‘Short Track Super Series’ on Facebook or @ShortTrackSS on Twitter or Instagram. 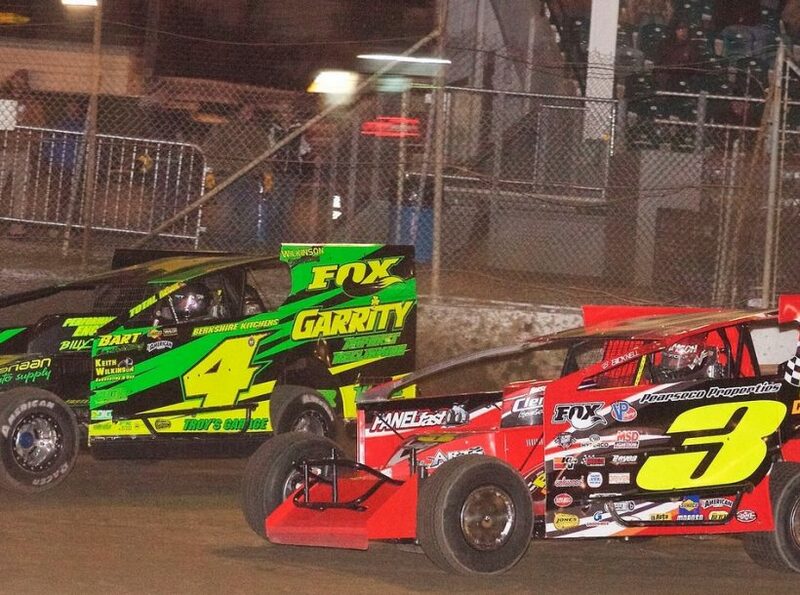 Sunday, April 7 – Orange County Fair Speedway/Middletown, N.Y. – Hard Clay Open – $11,919 to win! Wednesday, July 3 – Fonda Speedway/Fonda, N.Y. – Firecracker 50 – $10,000 to win! Tuesday, August 13 – Woodhull Raceway/Woodhull, N.Y. – Hustlin’ the High Banks 55 – $5,500 to win!